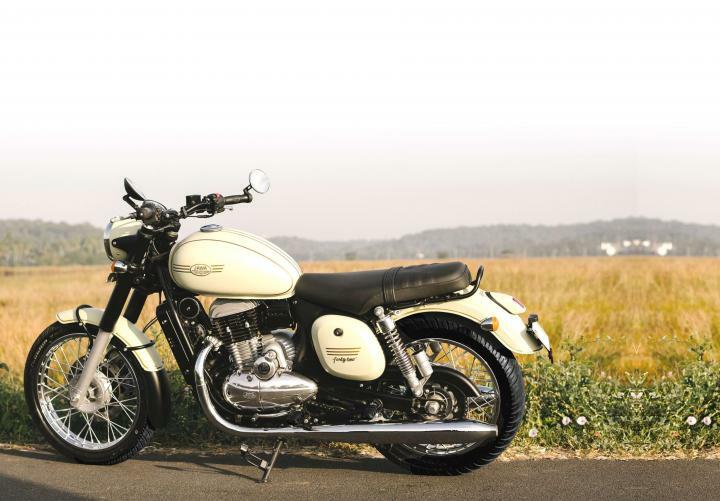 Classic Legends, a subsidiary of the Mahindra Group has launched three new bikes under the Jawa brand in India. The Jawa and Jawa forty two are priced at Rs. 1.64 lakh and Rs. 1.55 lakh (ex-showroom) respectively. 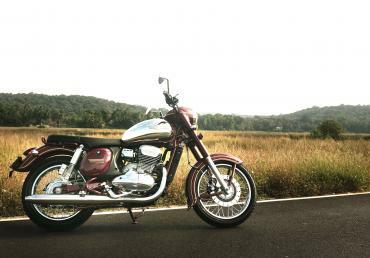 The company has also launched the custom Jawa Perak, which costs Rs. 1.89 lakh (ex-showroom). Bookings for the Jawa and Jawa forty two are now open. The Jawa Perak will be available at a later date. The Jawa is a retro-styled motorcycle that draws inspiration from the original from the 1970s. The bike has a teardrop shaped fuel tank with chrome sides. The circular headlamp and instrument cluster are housed into a single unit. It has a flat seat and raised handle bars with chrome mirrors. The Jawa forty two has a similar styling but with more matte black elements instead of chrome. It also has black handlebar-end mounted rear view mirrors. Both models are based on a double cradle frame with a wheelbase of 1,369 mm and a seat height of 765 mm. The bikes weigh 170 kg and come with a 14-litre fuel tank. 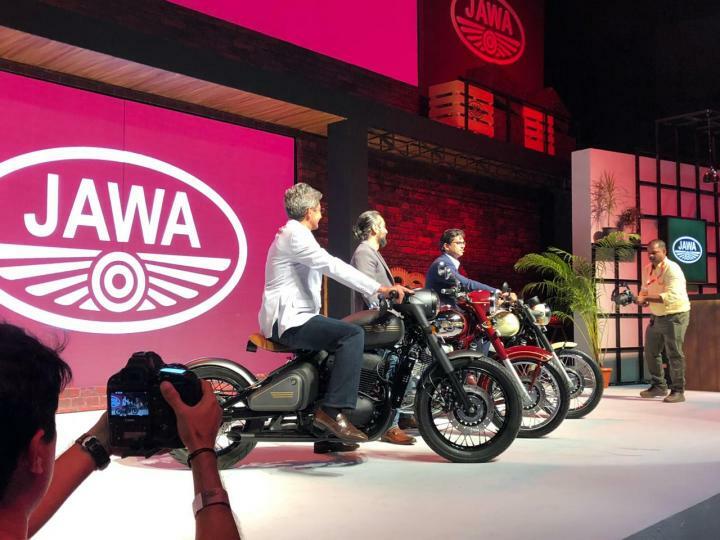 Powering the Jawa and Jawa forty two is a 293cc, single-cylinder, liquid-cooled engine that produces 27 BHP and 28 Nm of torque and comes mated to a 6-speed gearbox. Both have telescopic forks at the front and twin hydraulic shock absorbers at the rear. The braking setup consists of a single 280 mm disc at the front and a 153 mm drum brake at the rear. Both models come with single-channel ABS. The Jawa is available in 3 colour options – Jawa Maroon, Jawa Grey and Jawa Black. The Jawa forty two comes in six colour choices – Glossy Metallic Red, Glossy Dark Blue, Matt Moss Green, Matt Pastel Blue, Matt Pastel Light Green and Matt Blue. In addition to the standard Jawa and Jawa forty two, Classic Legends has also unveiled a custom bobber called the Jawa Perak. It has a single cantilever seat and is finished in a matte grey paint job. The engine and cycle parts are finished in black. The Jawa Perak is powered by a 334cc, liquid-cooled, single-cylinder engine that produces 30 BHP and 31 Nm of torque.